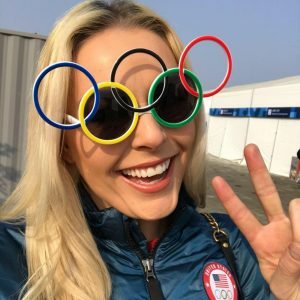 In her illustrious career, Lyndsey Vonn has won 82 FIS Alpine World Cup events, more than any other female athlete. Today in the Swedish resort of Are, it was almost a fairy-tale ending. For a while, it looked as though Lyndsey was heading for gold. She was eventually knocked into third place by Swiss Corinne Soutar, and defending champion, Slovenian Ilka Stuhec, who took the gold, at 0.49 seconds quicker than Vonn. 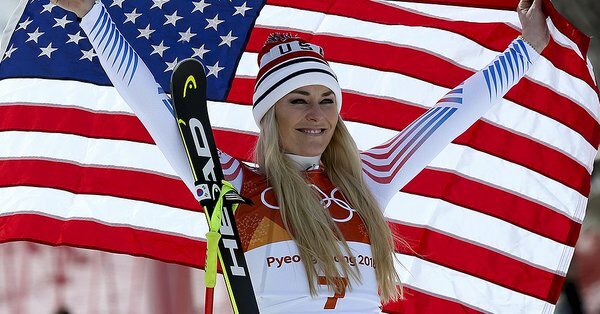 Vonn, who also won two World Championships, a super-G bronze in Vancouver and a Winter Olympic downhill bronze in Pyeongchang 2018 (see image above), which made her the oldest woman to claim a Winter Olympics alpine skiing medal. She retires just four victories short of equalling Swede Ingemar Stenmark’s record of 86 World Cup wins but, despite this, she is without doubt the best female skier ever. Her career has been tragically checkered by injuries. Yet time and time again she’re returned from the brink after multiple surgery and countless broken bones. Even as recently as her penultimate race outing, on Tuesday, she crashed out in her final ever Super-G race. Her skiing legacy is an inspiration to younger generations of alpine skiers and also kids keen to pursue snow sports, but especially girls. In 2011, she founded the “Ski Girls Rock” ski academy at Vail Mountain to empower girls aged 7-14 through skiing, with special ski lessons designed by Vonn. Lyndsey, thank you. On the podium to the end. You’re a true inspiration.